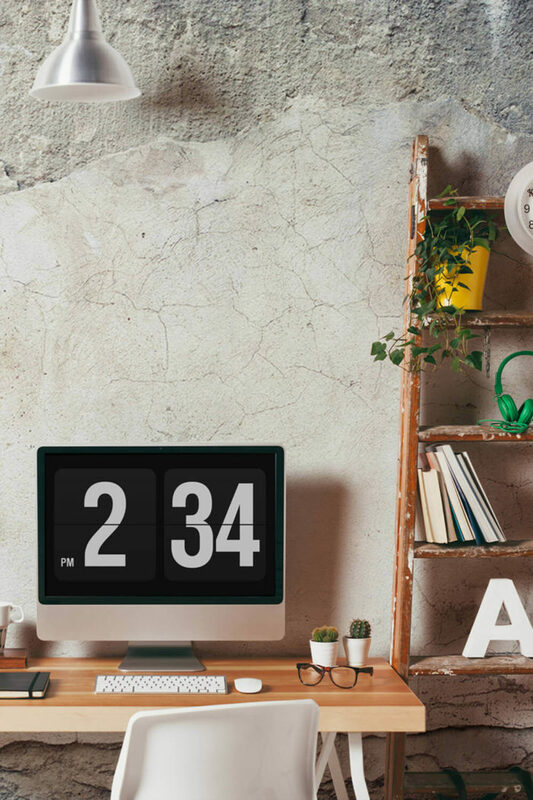 Finding ways to save time and money is an essential skill for any decorator; that's why we produced or faux-effect wallpaper prints. 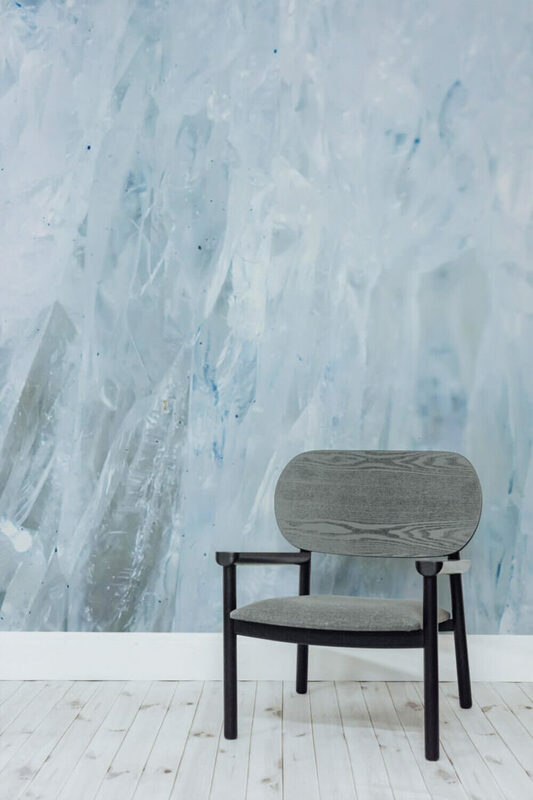 Whether you're looking for an industrial concrete, sophisticated marble or even a Scandinavian wood, this collection of faux texture wallpapers will deliver maximum impact for minimal effort and have your guests marvelling at the optic trickery. They're efficient and effective. 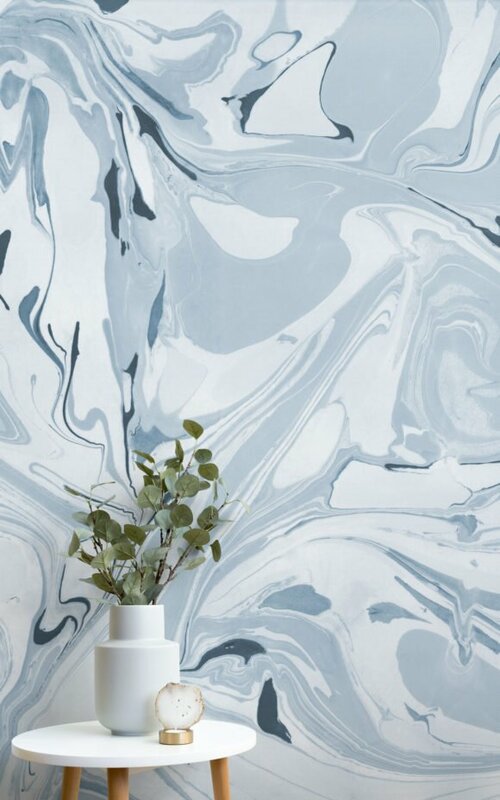 Associated with calm and tranquillity the blue agate stone (pronounced aggot) is typically used for necklaces and bracelets, but its geological composition makes it an intriguing and unique feature wall. Utilising microscopic photography, we’ve transformed the crystal into a mural worth talking about. Ideal for those with an open mind and free spirit. Faux brick wallpapers are forever popular and have remained fashionable for years. 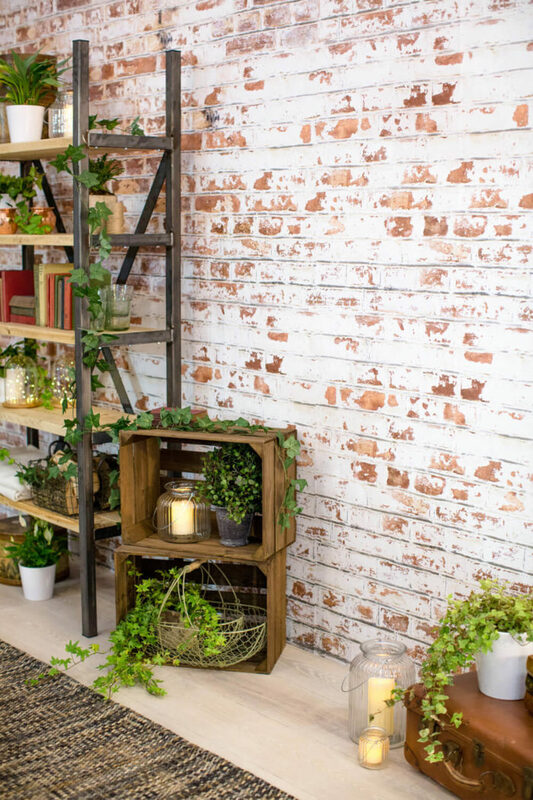 A great way to achieve a rustic or industrial look without the headache of a big renovation, our brick wallpapers and murals are perfect for the modern homeowner. With a varied collection and a multitude of styles and textures, our brick wallpapers offer great versatility when styling your home. Continuing with the industrial look, a concrete-effect finish can give any room a real wow factor. 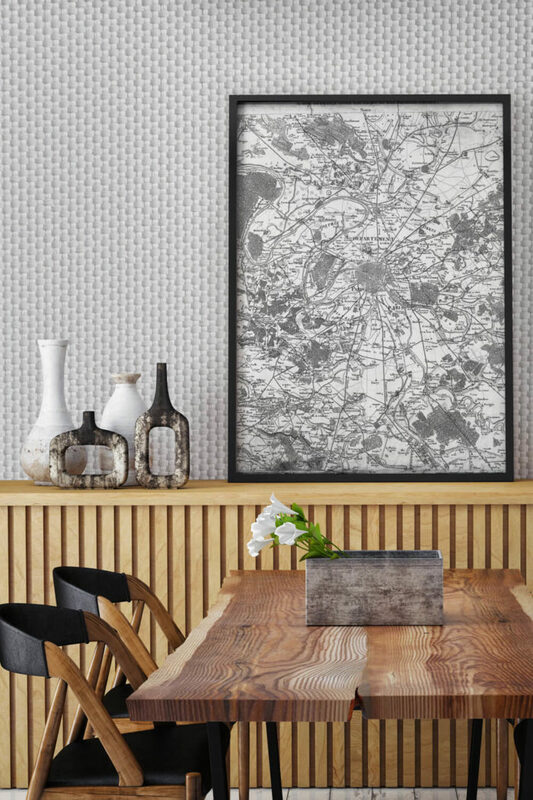 When it comes to texture, this rustic-looking concrete wallpaper really delivers and certainly doesn’t let you down when it comes to detail. Another great choice for achieving a complex look with minimal effort. 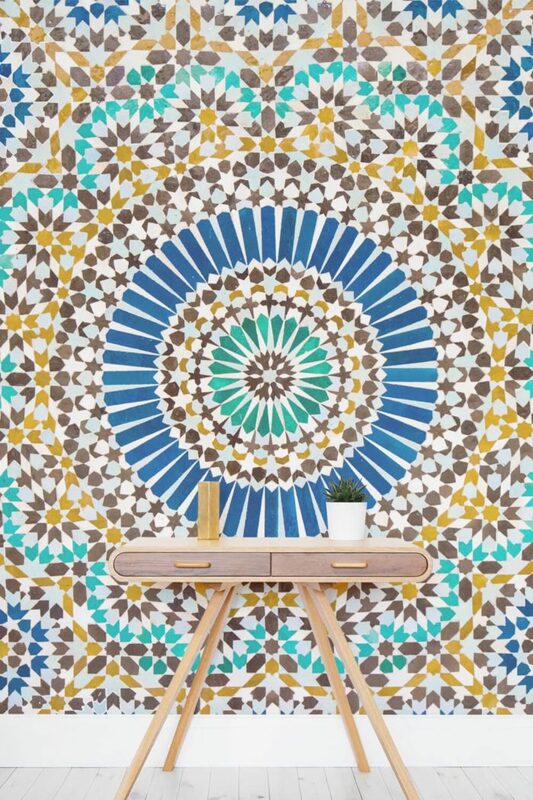 This wood-effect wallpaper mural would fool anyone into thinking they were real planks. 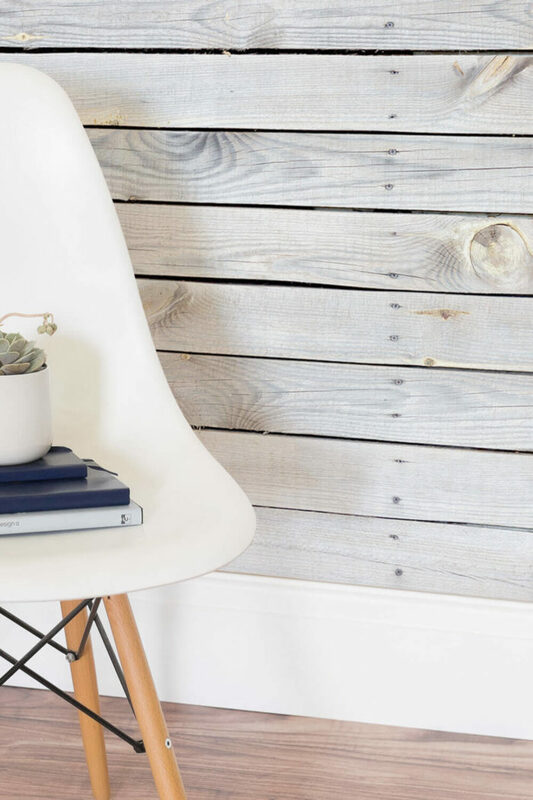 The photo-generated wallpaper offers a realistic wooden feature wall that works perfectly in a Scandi interior. With a great variety, our wood-effect wallpapers offer great versatility for your deco project. 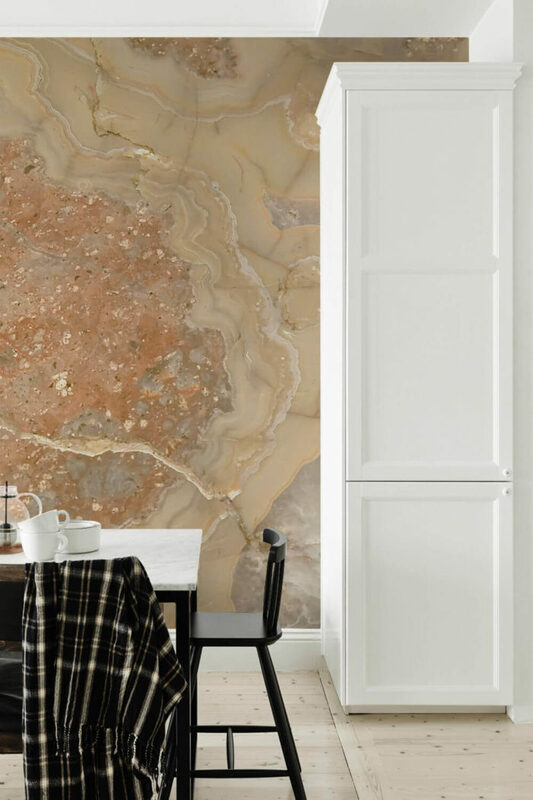 Not one for the faint-hearted, this erosion-effect wallpaper delivers maximum impact if you’re going for the industrial vibe. Full of anarchy and masculinity, the wallpaper is ideal for those with a rebellious streak. The rich blue also gives you a great starting point for your colour palette. 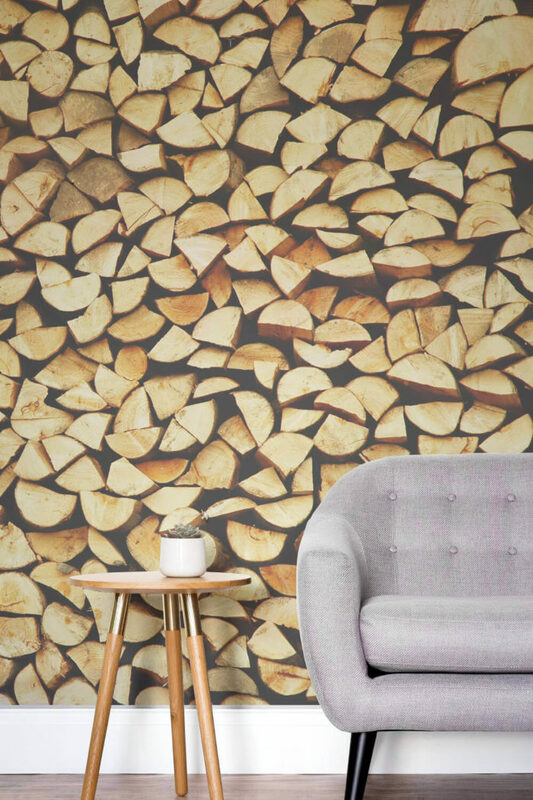 A perfect Scandi feature, this firewood wallpaper print will have you and your guests feeling whisked away to a far away cabin in the Nordic woodlands. The print achieves its full potential on those cold winter evenings when you’re gathered round your fire in the sitting room. 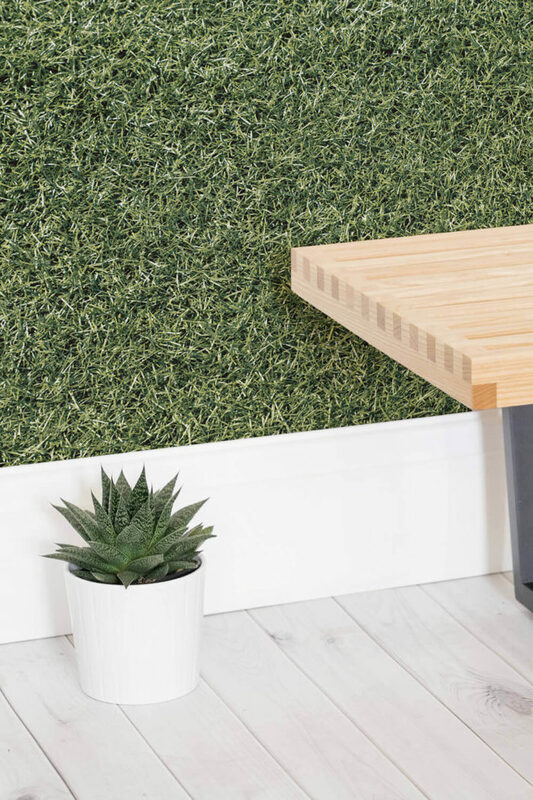 Like something out of Alice’s Wonderland or Wonka’s factory, this grass-effect wallpaper print turns convention on its head and delivers a real surprise to your interiors. Placing a flooring texture on the wall sends a real whimsical message and delivers a playful personality to your home. 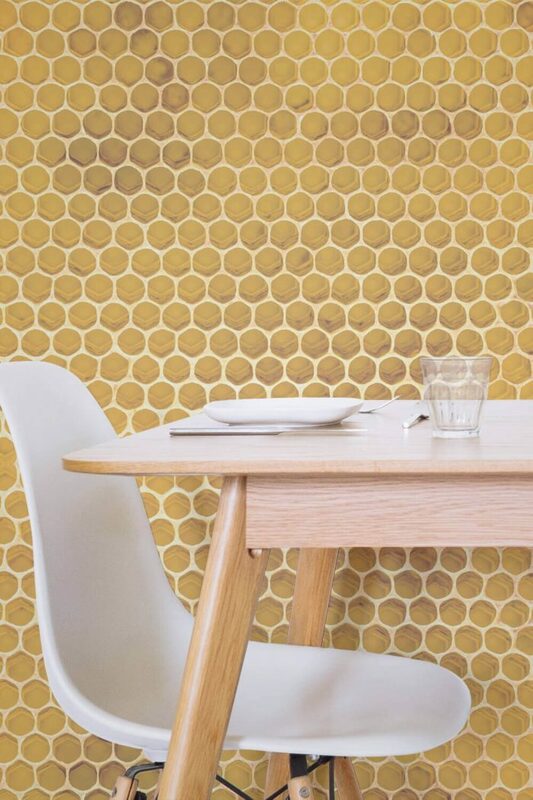 Great for a kitchen feature wall, this honeycomb wallpaper texture will keep your interiors sweet. 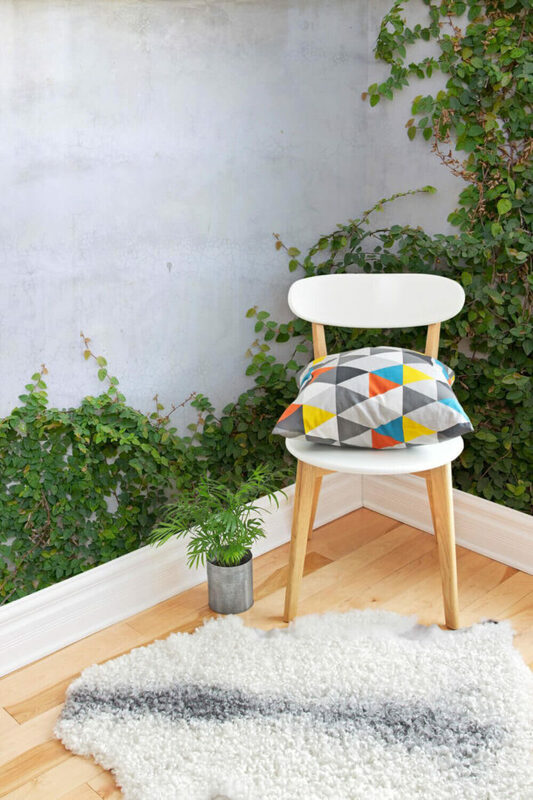 The depth and detail, partnered with the vibrant yellow, offers a punchy print that celebrates the natural geometric print of the honeycomb structure. 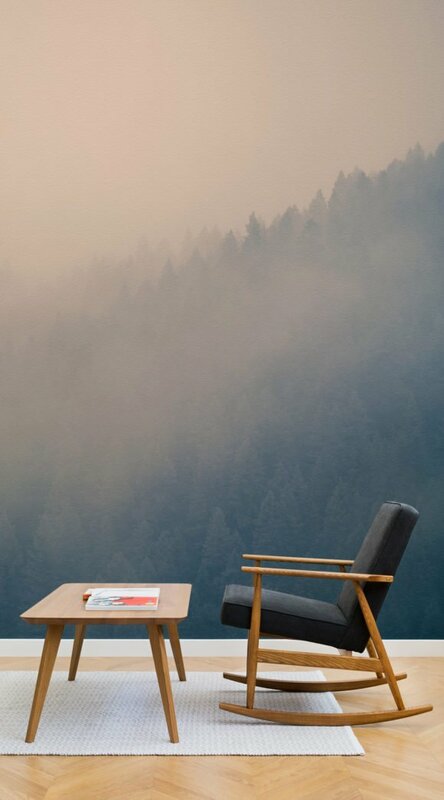 Designed by nature and transformed by our design team, the print is a great way to stay connected to our amazing planet. Another feast for the eyes, this 3D-effect ivy wallpaper mural would have you thinking that you’ve got plants growing out of your floorboards. 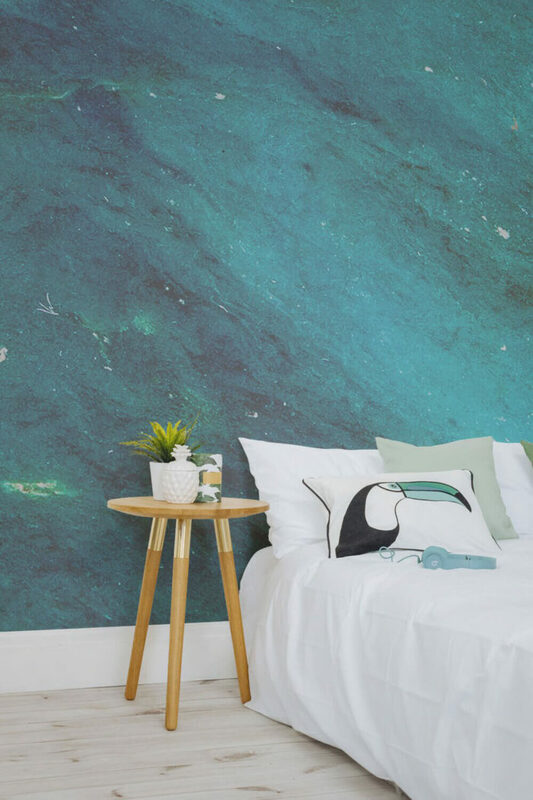 This mural is a great way of bringing the outdoors into the home. And the best bit is that you won’t need to water these plants. Delving further with the microscopic photography, this wallpaper mural shows the internal beauty of the jade gemstone. Its natural greens would be something an artist would be proud of, but when you remind yourself that they’re the work of mother nature, you’re truly blown away. It makes for a wonderfully charming mural that delivers a real feminine touch. 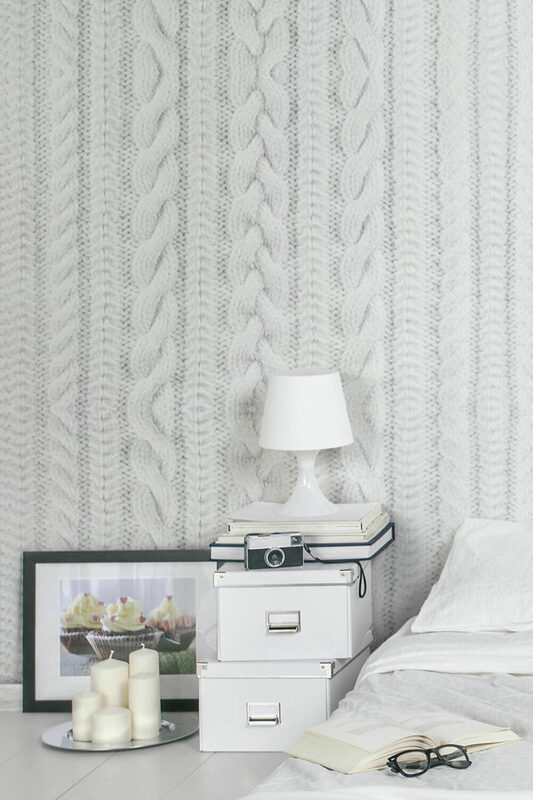 Ideal for sewers, knitters and craft enthusiasts, this knit-effect texture wallpaper provides for a fantastic feature wall in a snug or bedroom. Like being wrapped in one huge woolly jumper, the mural will keep you warm and cosy at all times; a print for true indulgence. Somehow refined yet bold, this vibrant gold leather-effect wallpaper print will take your home beyond bourgeois and into extravagant. 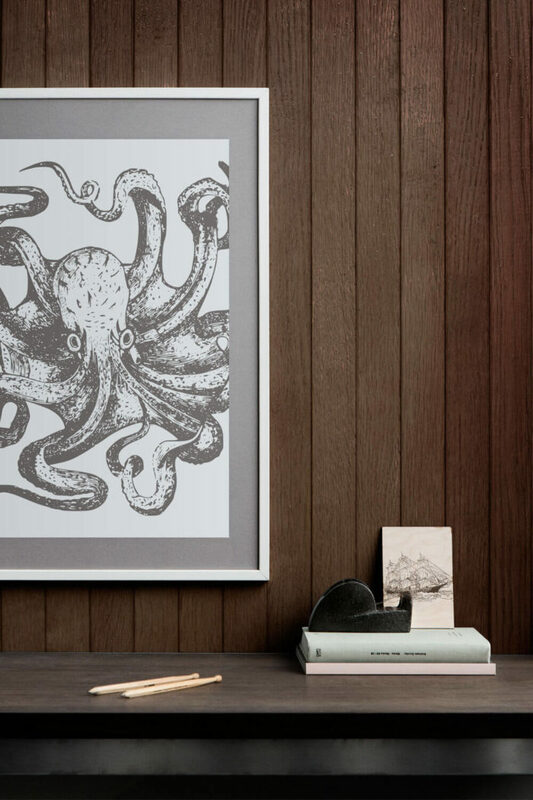 At risk of looking tacky, this one’s not for the amateurs but the experts and dab hands in interior design; a special print for those special decorators. 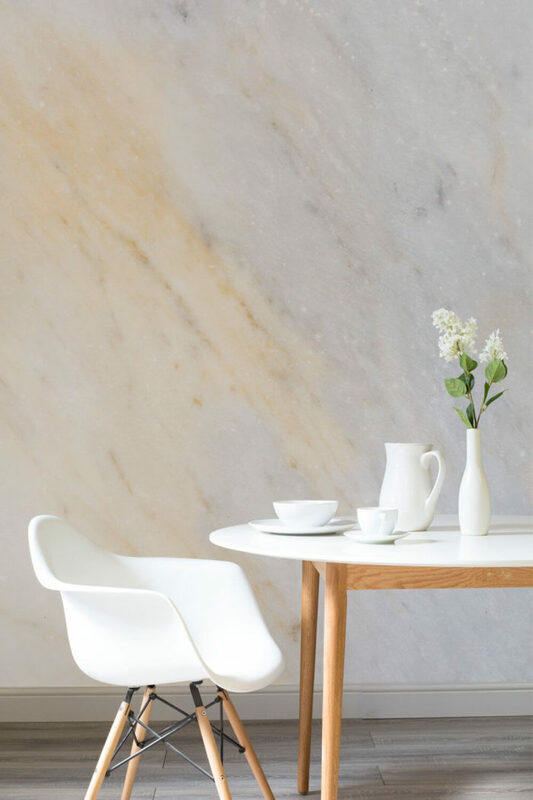 Marble is something that is unachievable for most homeowners but, with this photorealistic mural, you can bring a sense of elegance into your room in a practical and affordable way. It’s unlikely that you’ve ever met anybody with nylon walls in their home, but that’s exactly what our wallpaper murals are all about. 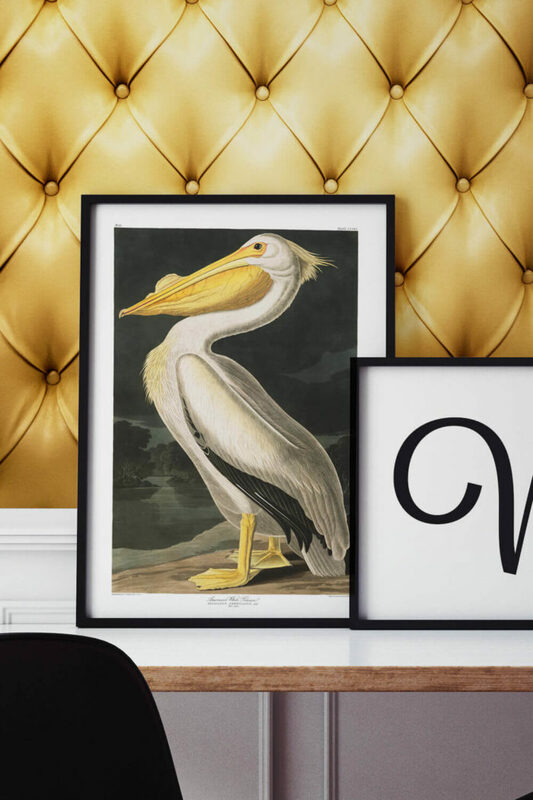 Stand out from the crowd with this unique texture-effect wallpaper print and surprise your guests with a wall worth talking about. This wonderful oak-effect wallpaper brings a real sense of sophistication into the home and its deep tones and rich colours make for an understated yet eye-catching feature wall. This one’s another faux wallpaper that delivers maximum impact with minimal effort. 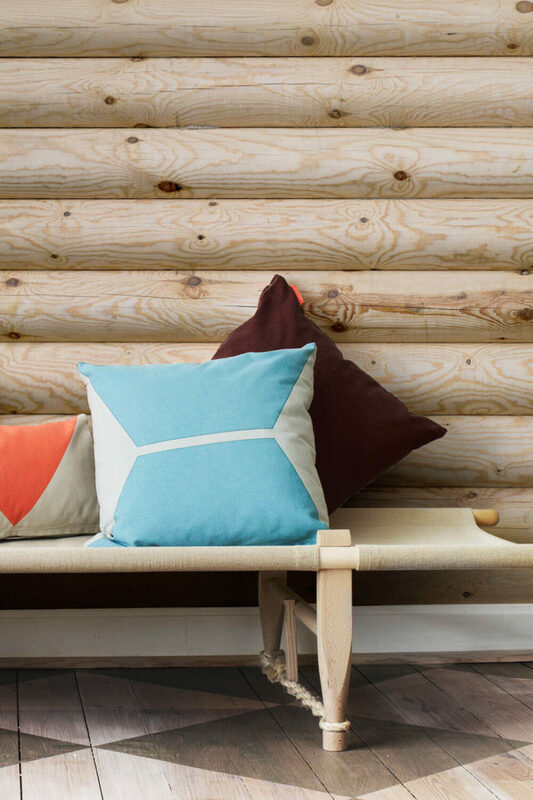 Sitting beside the deep oak, this pine print shows the versatility of our wood-effect wallpapers. With a huge variety of offer you can achieve any number of looks while utilising the wonderous look of timber. This close-up snapshot of the quartz crystal really shows the level of complexity in the work of mother nature. Developed over millions of years, these stones develop layer upon layer of detail that help make this mural a real thought-provoking print. Like an abstract expressionist painting, sometimes a wall is at its best in its raw form. 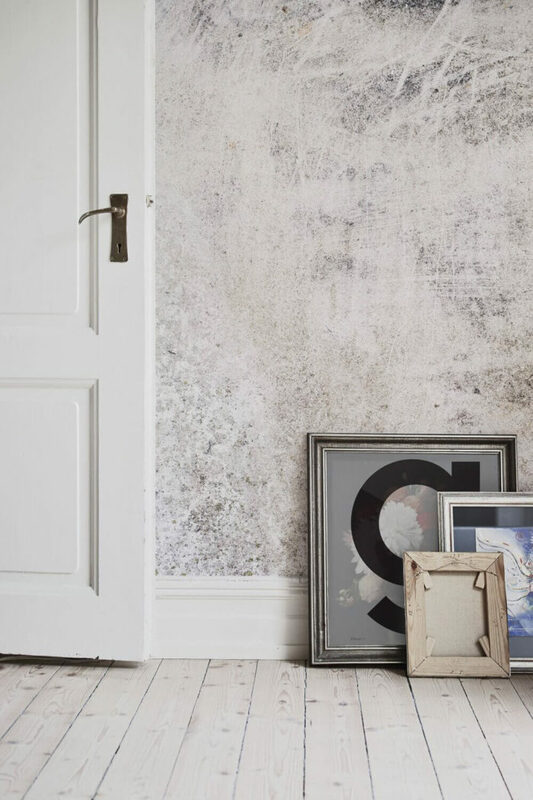 Capturing the early stages of a finished wall, this render-effect print will give you a wonderful industrial tone to your interiors without you having to strip off your plasterboard. If you’re looking for even more industrialism, you can go full force with this corroding steel texture wallpaper. The array of textures and colours make this a rough and ready print that would make for a great feature wall in a home with a hipster vibe. 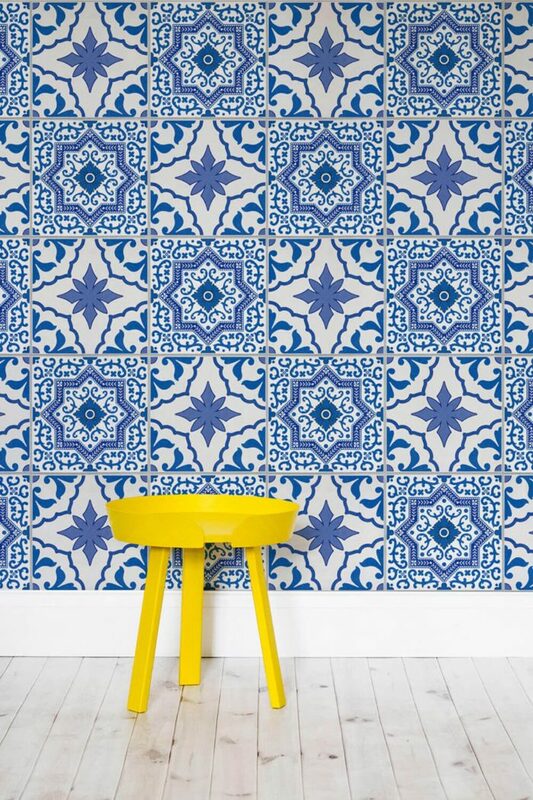 Another great way to cheat your way through a painstaking DIY job, this wallpaper print captures all the impact of Portuguese tiles with minimum effort on your end. The print offers a great way of achieving a worldly look whilst saving you both time and money. Not quite suede, ultrasuede is a synthetic substitute for suede leather. 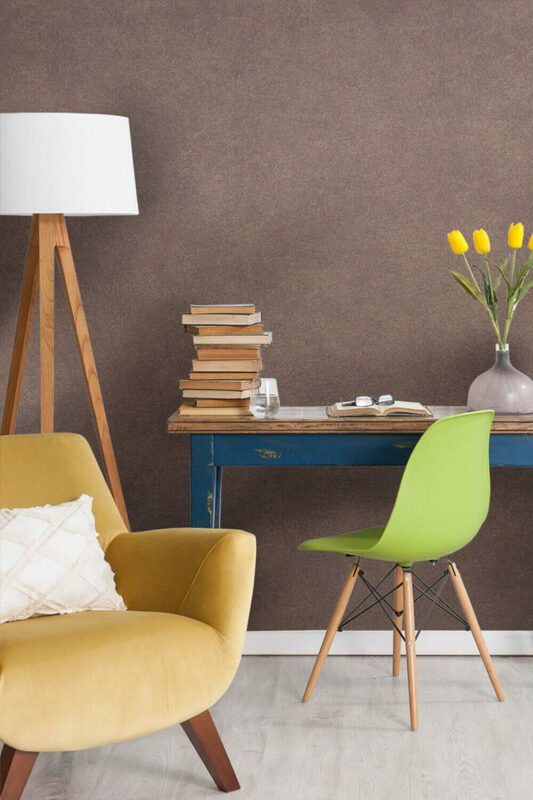 It’s essentially faux suede which we’ve transformed as faux-effect wallpaper. It’s faux-effect faux suede. Getting lost? Us too. Either way, it looks marvellous. 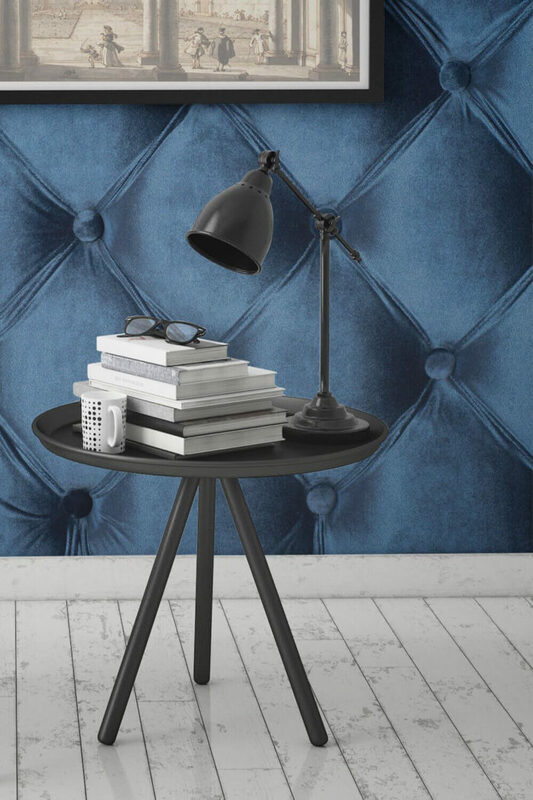 Another texture-effect wallpaper for those classy sophisticates, this blue velvet print achieves a statement look at an affordable price. It’s great for fancy pants and trendy Wendies. 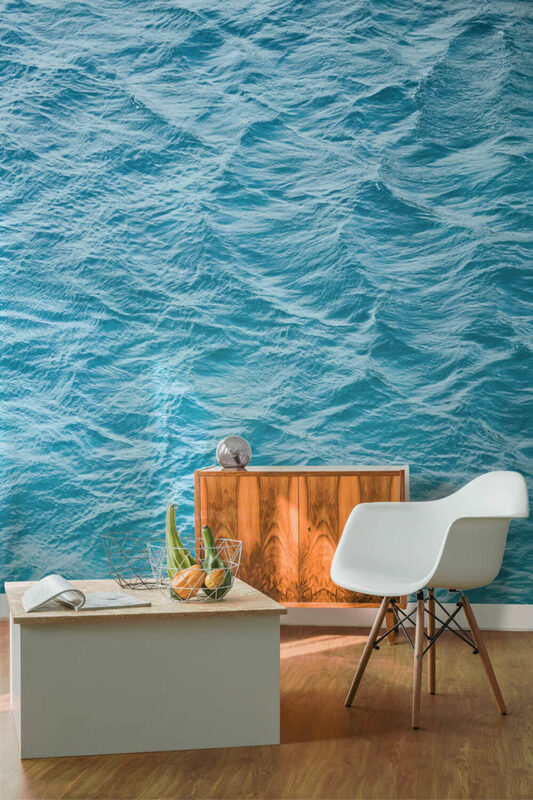 If you’re someone that likes to be at one with nature, then this water texture wallpaper mural might just be the ticket. The gorgeous teal tones are moreish to the eyes and satisfy the soul. 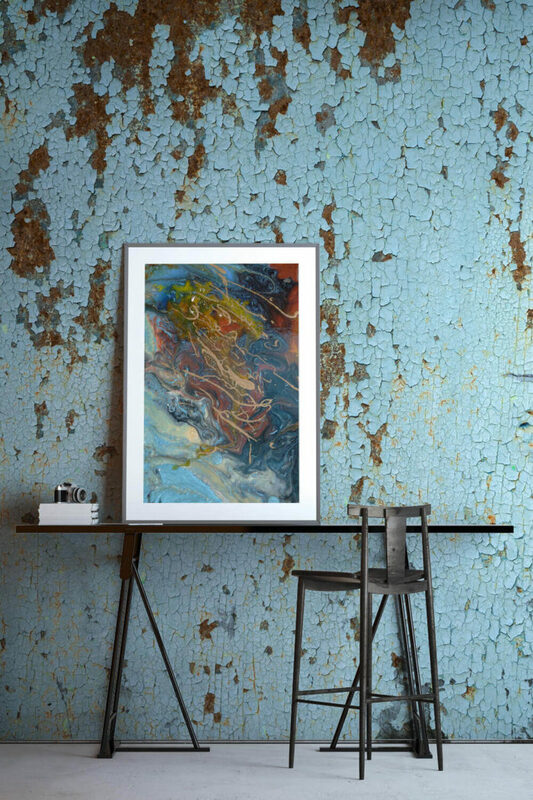 If you’re looking for a deep connection, this print’s for you. Xylopal, often known as ‘wood opal’, is a real treat for any geology enthusiast. 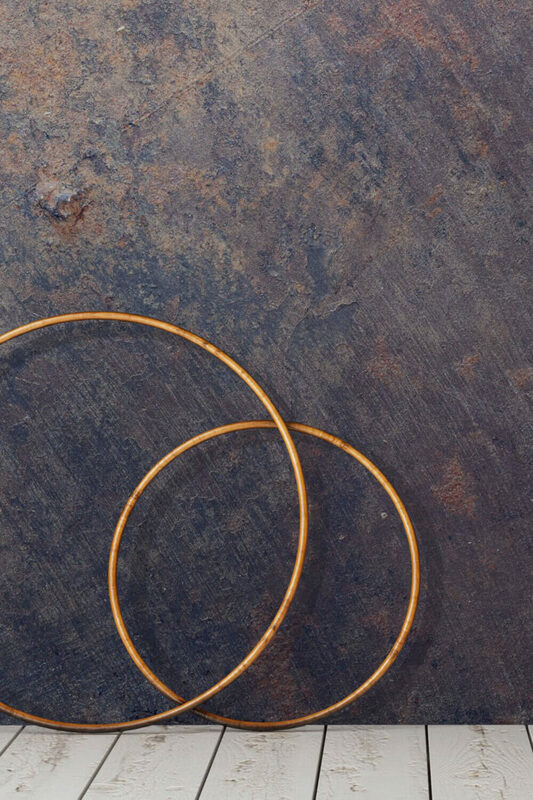 It’s essentially fossilised wood transformed into stone through a process of permineralization. That doesn’t mean much to us either but we know it makes for a wonderful wallpaper print. 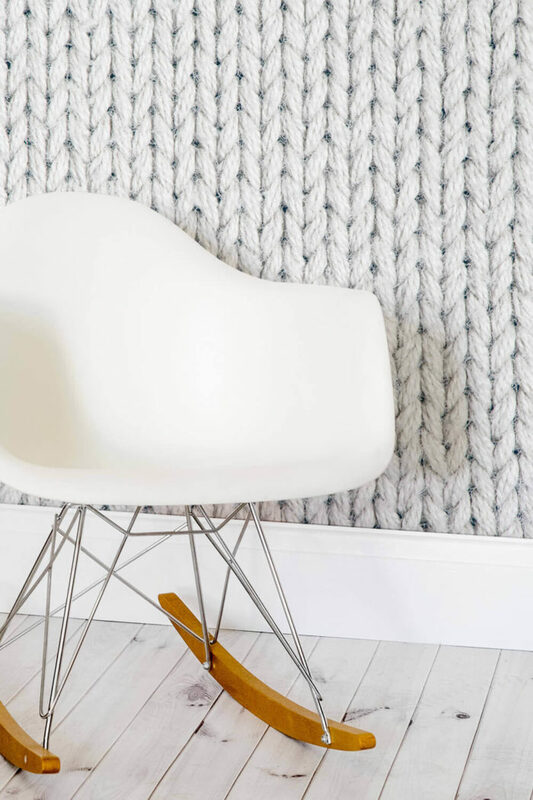 Another knitter’s delight, this yarn-texture wallpaper offers a soft touch into the home and makes for a unique wall for a bedroom or lounge area. A natural clay tile popular in the Middle East, Zellige offers everything you could ask for from a feature wall. Bursting with texture, colour and pattern, the print provides a real knockout blow to the senses and will have you mesmerised for days.